It stands alone in a quiet valley in the Czech Republic, bordered by a magnificent countryside. The estate is surrounded by high walls, and is not visible at ground level. From the air, the compound appears to be a large administration center. 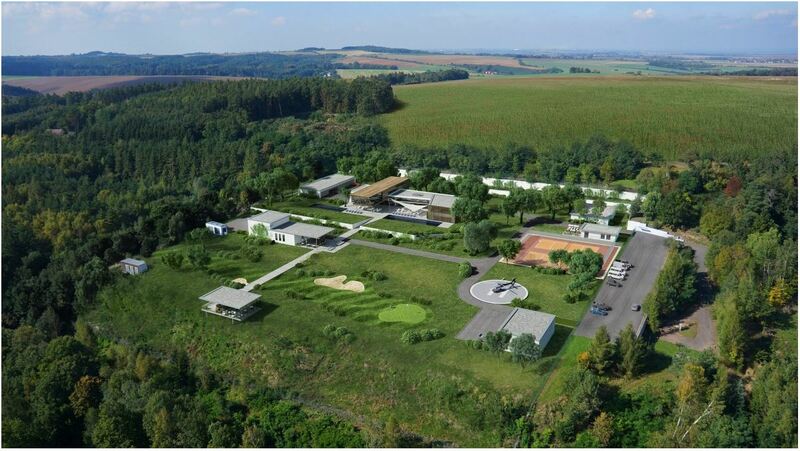 This is The Oppidum, a massive 323,000 square foot property with plans for a spectacular estate. 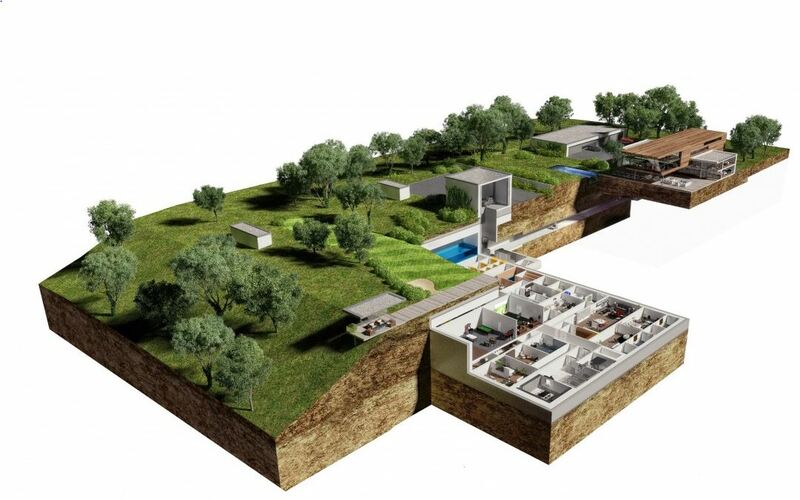 What lies hidden beneath, carved deep in the mountain is the largest residential doomsday shelter in the world. The Oppidum will be more than an underground bunker for dangerous times. It provides an above-ground residential estate in which the owners can maintain a high standard of living in a secluded area above ground during times of potential danger. The compound is protected by multiple high-security systems (from high walls and detection sensors to automated defense technology) and strong communications with the outside world. The residents can enter the shelter by descending through a secret corridor to the bunker, sealing it with a blast door in less than a minute. It enables inhabitants to return quickly to the above-ground residence once the threat has passed. The below-ground Bunker of The Oppidum will be the area in which inhabitants can be isolated and protected from the threat of war, disease, natural disasters, or personal threats ranging from terrorists to zombies.